The Career & Internship Fair for Business, Government & Technology takes place Thursday, Nov. 8 from 3 to 6 p.m. in Downs Hall. 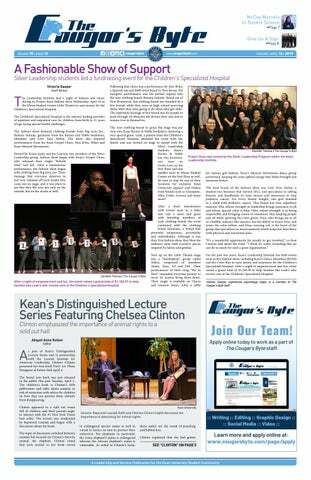 Kean University is pushing the importance of internships and encouraging students to get experience in their desired field while still being in school to make connections and prepare themselves for graduation. With the upcoming Career & Internship Fair for Business, Government & Technology, it is an opportunity for students to dust off their resumes and apply to intern for top companies in the business, government and technology fields. On Thursday, Nov. 8 from 3 to 6 p.m. in Downs Hall, Career Development and Advancement, Office of Internships and Cooperative Education and the Center for International Studies (CIS) are working in collaboration to create the Career & Internships Fair. This event specifically targets students majoring or interested in business, government and technology fields. Over 40 companies are scheduled to attend including major companies like Verizon, Cintas, Enterprise, Sherwin Williams and more. This event was hosted last year in the Green Lane Academic Building (GLAB), and it is set to attract close to 400 students, giving them all chances to interact with representatives from the various companies. Whether students are looking for positions as interns or wish to interact with future employers, it is beneficial for all students to attend. From this event students can gain interviewing skills, presentation skills and interpersonal skills. To prepare for this internship fair, students should be sure to review their resumes, this could be done by a trusted professor in the intended field or someone who works with resumes daily. On campus there are many resources to review resumes with students. Career Services can schedule one-on-one sit-down appointments to review resumes with students. 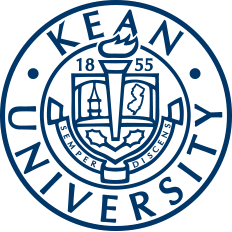 Career Services is also diligent in offering the best career resources to the students of Kean University. The goal is to provide or connect students to a position that will help them reach their full potential. In addition to College Central, Career Services has links to services such as the NJ Department of Labor, as well as U.S. Government for federal job opportunities. Career Services is open Monday through Friday from 9 a.m. to 5 p.m. Call to schedule an evening appointment. Another resource for preparing for the internship fair and future careers is the upcoming Chapter After Lecture Series, hosted by the Leadership Institute. The first lecture focuses specifically on internship skills and will take place Wednesday Oct. 24 from 4 to 5:30 p.m. in Miron Student Center (MSC) Room 228. The other workshops in the series include a resume building workshop Tuesday, Nov. 27, and student leader panel Thursday, Dec. 6 both taking place 4 to 5:30 p.m. in MSC Room 228. Students can contact Career Services by visiting them in the CAS Lobby, contacting (908) 737-0320 or emailing career@kean.edu.